1. Come up with a simple design and cut trim or ribbon to size. 2. 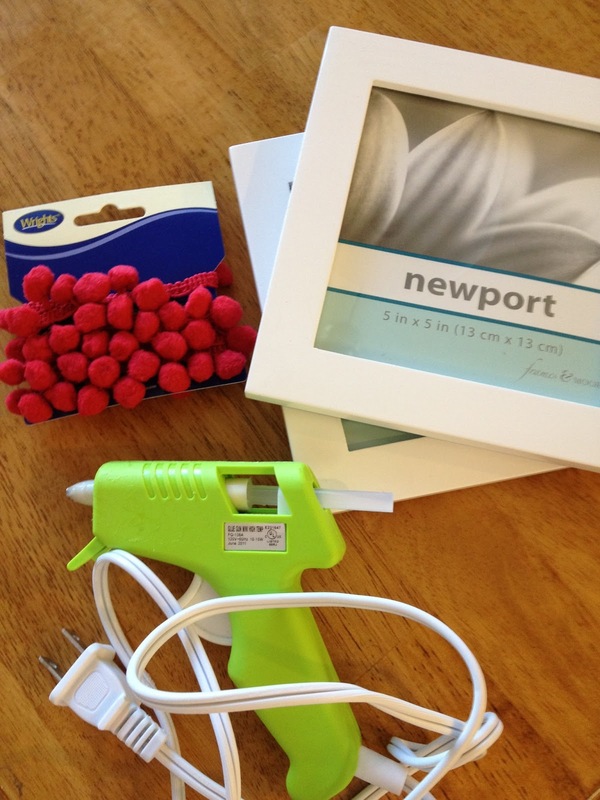 Attach trim or ribbon to frame with the hot glue gun. 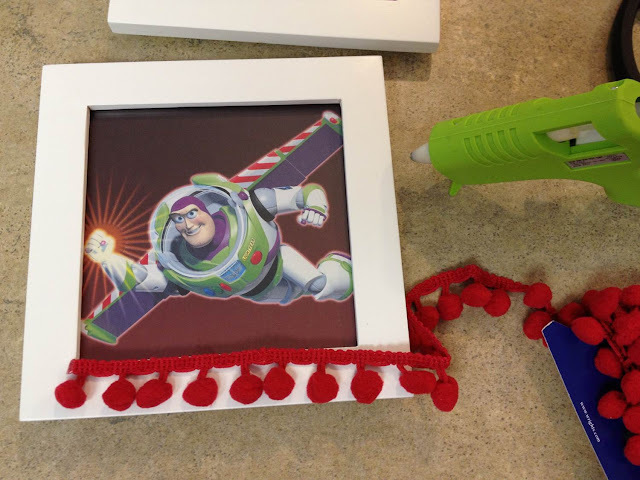 A small bead of glue will keep it from oozing out around the trim. 3. 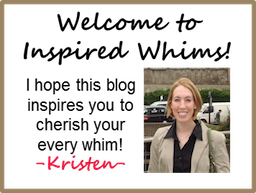 Put your photo in (unless you jump the gun like I did and put it in first...) and enjoy! Not rocket science, but they sure are cute! And, I can use the frames for other pictures once Buzz and Woody move on. Your options are limitless and this project only takes about 10 minutes, so it proved to be a good "naptime" endeavor for me. It would also be a fun birthday craft/take-home favor for kids since they're easy to make...may need some parental supervision with the glue gun though.